I participated in an Influencer Activation on behalf of Influence Central for Charmin. I received product samples to facilitate my review and a promotional item to thank me for my participation. All content and thoughts are my own. Summer means tons of fun and now that the kids are older, play dates and entertaining are plentiful. We just went to a friend's amazing home for a party and I picked up a few tips and tricks that will definitely be useful as we host our own summer time soirees. I try to make the house as presentable enough just to get it messy after the kids trek through. So while everyone is being entertained with food, drink and good conversation, a visit to the bathroom is inevitable. Our "guest bathroom" is really the kids' second bathroom on the 2nd floor. I've never thought about how I should prepare it for when our friends and family come over....until now. 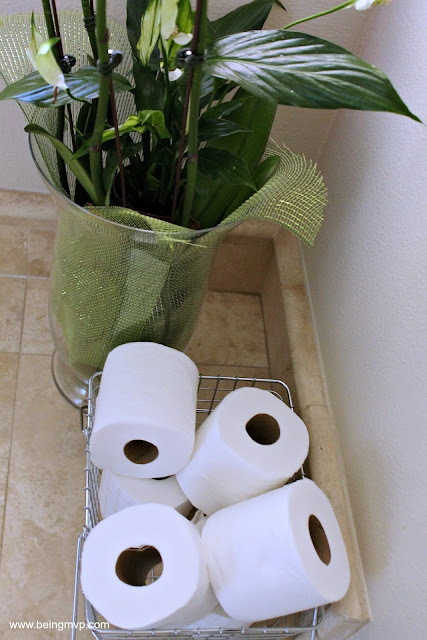 When we were at the party, I noticed how one guest bathroom really accommodated at least 20+ guests. It was stocked with hand towels that were constantly being refreshed by the house cleaner, magazines neatly arranged in a stack and trash can that was easily knocked down by Kenzie's friend to create a step stool to wash her hands. I wanted to create something similar, if not better, in my own guest bathroom. I stocked up on some small hand towels that could be used in place of the usual huge bath towel we leave in there for the kids. We already have a step stool in place which is really handy for all the kids who come to visit - ok, we actually have 3 step stools in that bathroom! 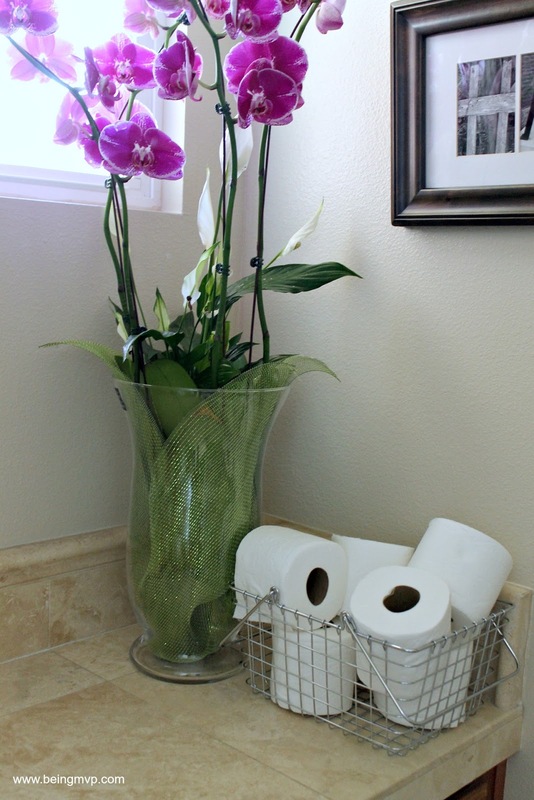 My mother-in-law is constantly giving me flowers and plants so an orchid fit in nicely on the counter and added a bit of warmth to the bathroom. One thing I usually find missing in guest bathrooms is extra rolls of toilet paper. With so much traffic during parties, one roll is most likely to run out and you are left to either scrummage through your friend's cabinets and/or call out for an extra. To combat this at our house, I thought it would be nice to just display extra rolls for convenient reach on the counter. We have been using Charmin for as long as I can remember. It's a family favorite and also has a clog-free guarantee. With so many people using the guest restroom as well as young kids who think they need to use extreme amounts for wiping, using a toilet paper that is clog-free and septic-safe is essential. The newly transformed guest bathroom is definitely going to be a hit this summer. 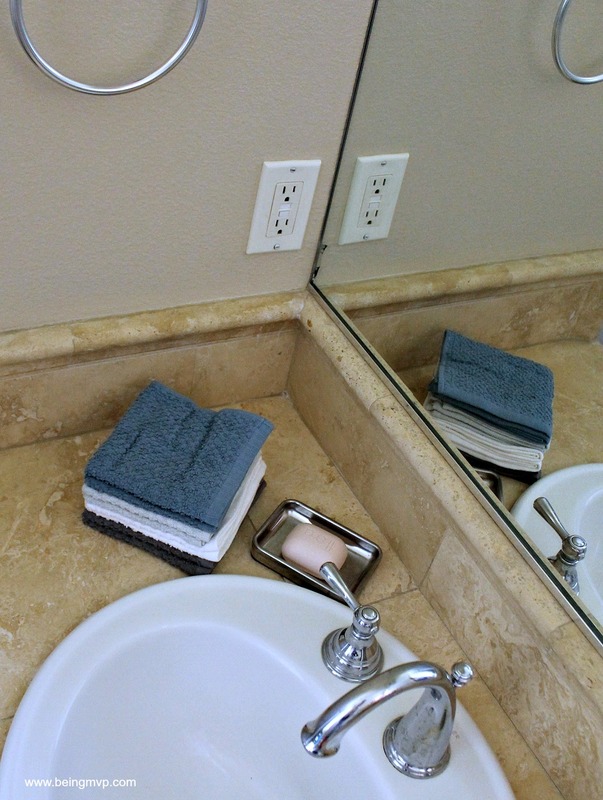 Have you ever worried about the number of people using the guest bathroom during your parties? 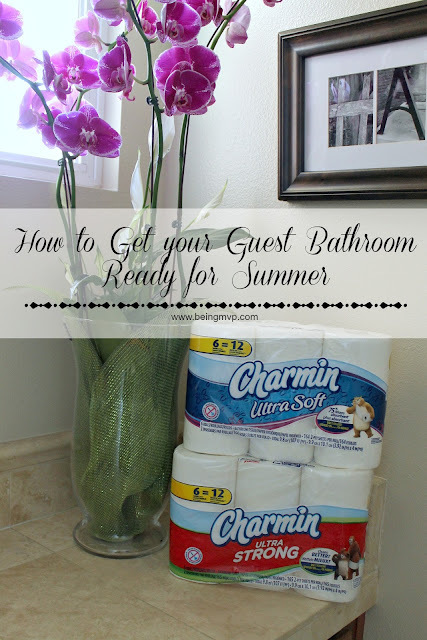 Have you stocked your guest bathroom with Charmin for the summer? Remembering to put out extra TP is so important for a party - people really seem to fly through it! We use Charmin too! 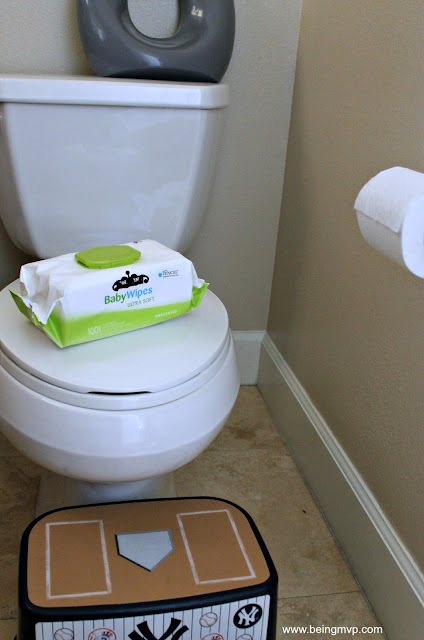 With 5 kids I got tired of toilet clogs and plunging! The hashtag for this campaign is so funny! Thanks for the tips.. I am definitely going to buy some fresh flowers and some Charmin. What a pretty bathroom! Those orchids are just gorgeous! I's so glad that Charmin is clog free. Kids always tend to use too much. Love your bathroom decor and style! We always have a stock of toilet paper in the house, it goes pretty fast too.